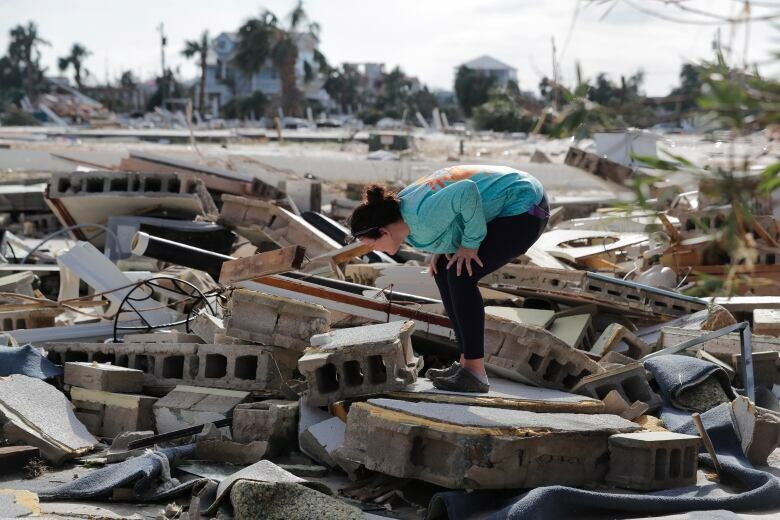 The devastation inflicted by Hurricane Michael came into focus Thursday with rows upon rows of homes found smashed to pieces, and search crews began making their way into the stricken areas in hopes of accounting for hundreds of people who may have defied evacuation orders. 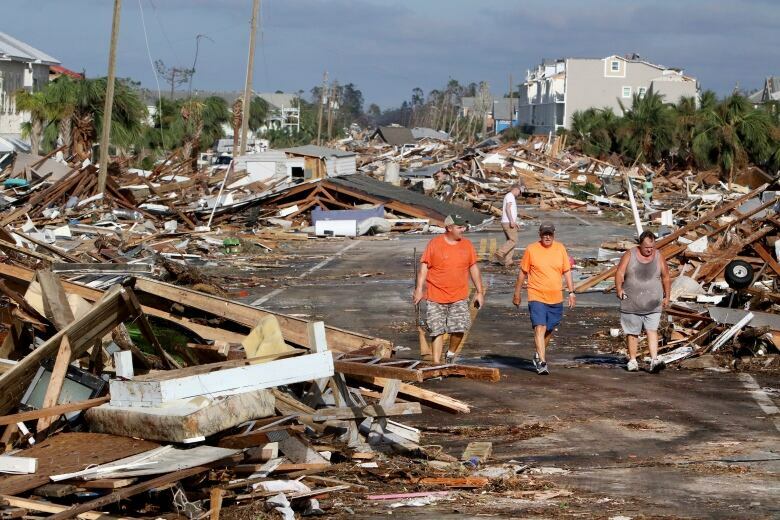 The devastation inflicted by Hurricane Michael came into focus Thursday with rows upon rows of homes found smashed to pieces. Search crews began making their way into the stricken areas in hopes of accounting for hundreds of people who may have defied evacuation orders. 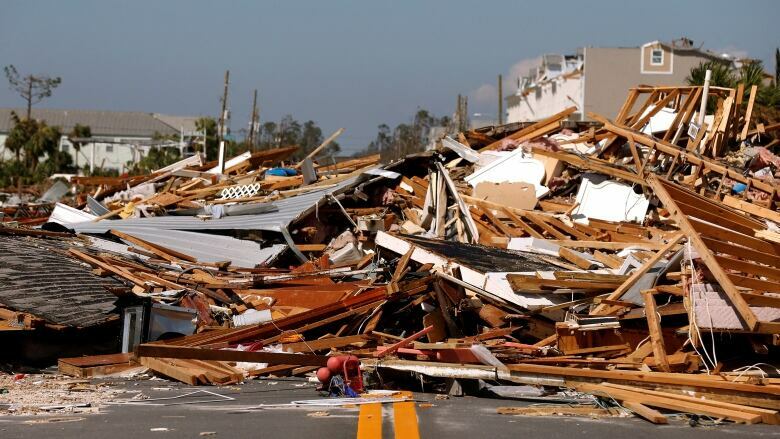 At least seven people were killed by the hurricane — the most powerful to hit the continental U.S. in over 50 years — in Florida, Georgia and North Carolina, according to state officials. They included a man who was killed after a tree fell on a Florida home and an 11-year-old girl who died when a portable carport crashed through a roof in Georgia. Though weakened into a tropical storm, Michael continued to bring heavy rain and blustery winds to the Southeast as it pushed inland. The storm was expected to move across North Carolina and Virginia and push into the Atlantic Ocean by late Thursday or early Friday. Over 900,000 homes and businesses were without power in Florida, Alabama and Georgia Thursday, with search-and-rescue efforts underway in those states. The Army Corps of Engineers was supplying generators to help get power to storm-ravaged areas and teams to start clearing debris and begin building temporary roofs. "This morning, Florida's Gulf Coast and Panhandle and the Big Bend are waking up to unimaginable destruction," Florida Gov. Rick Scott said. "So many lives have been changed forever. So many families have lost everything. ... This hurricane was an absolute monster." In Florida, the town of Mexico Beach appeared to be "ground zero," said Brock Long, director of the Federal Emergency Management Agency. 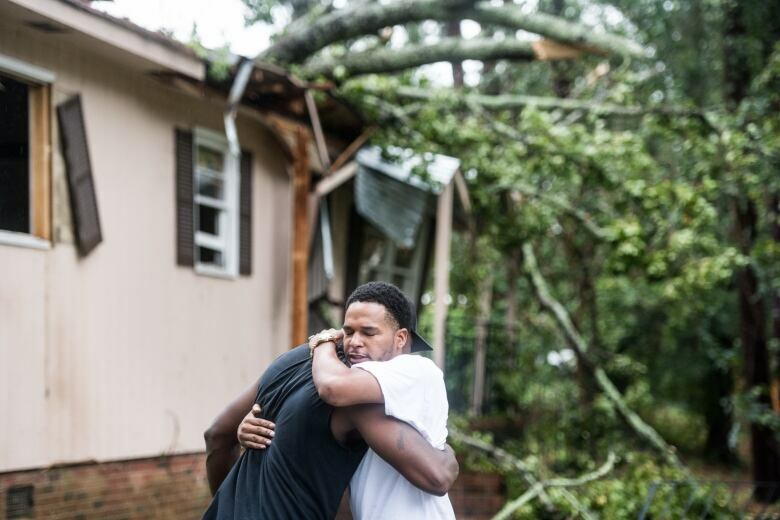 A reporter and photojournalist from the Tampa Bay Times ventured there in the dark early Thursday, finding the town of about 1,000 almost impassable. They reported seeing many destroyed homes, some with staircases leading to doors suspended three metres in the air with nothing on the other side, entire structures washed away. 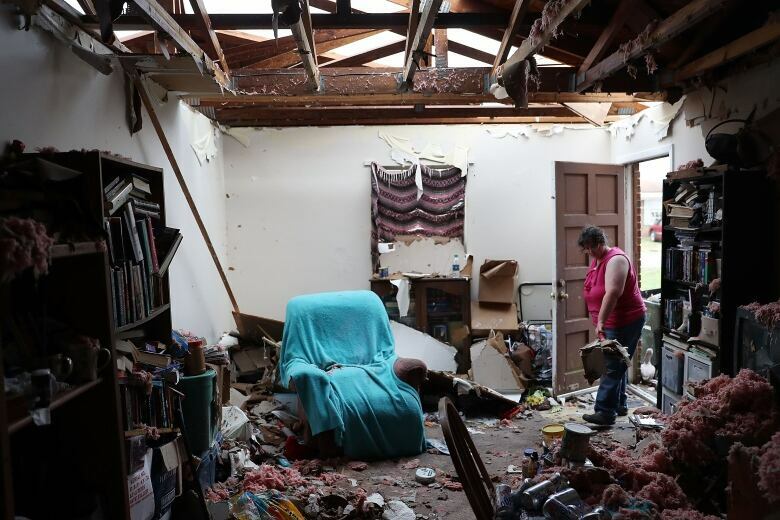 Refrigerators and toilets and piles of soggy furniture were strewn across properties. In Panama City, downed power lines lay nearly everywhere. Roofs were peeled away and sent airborne. Aluminum siding was shredded to ribbons. Homes were split open by fallen trees, hundreds of cars had broken windows and twisted street signs lay on the ground. The National Hurricane Center said the storm was centred about 40 kilometres south of Greensboro, N.C., as of 2 p.m. ET., moving northeast at 37 kilometres per hour. Top sustained winds were 85 km/h; the storm made landfall in Florida on Wednesday afternoon with top sustained winds of nearly 250 km/h. 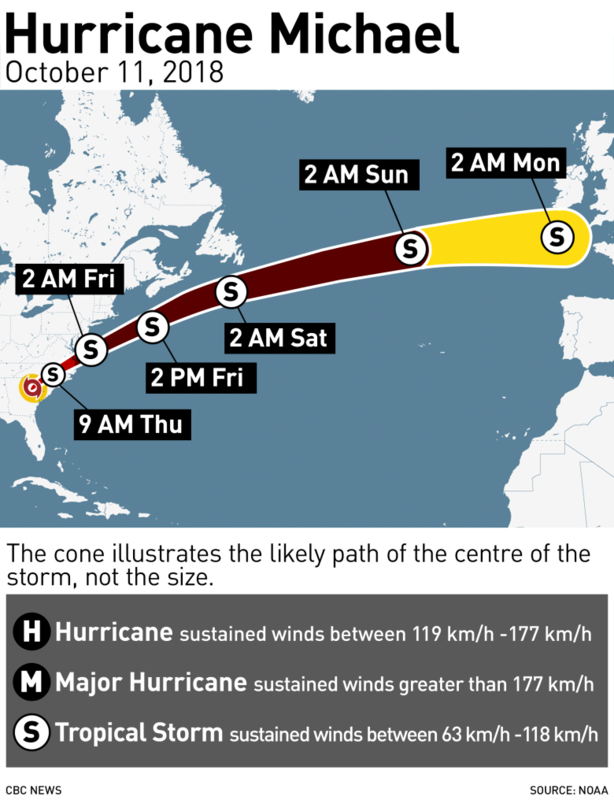 Forecasters said it could drop up to 18 centimetres of rain over the Carolinas and Virginia before pushing out to sea. Officials hoped the fast-moving nature would limit the impact of flooding in the Carolinas, where rivers in several counties rose dangerously as a result of Hurricane Florence last month. The U.S. Coast Guard in Mobile, Ala., said its crews had rescued 27 people, mostly from damaged homes, while in Panama City, Fla., a Jayhawk rescue helicopter crew pulled nine people from a bathroom of a home after a roof collapsed Wednesday afternoon. The coast guard said there were no reports of deaths from their missions across the Florida Panhandle. Mishelle McPherson and her ex-husband searched for the elderly mother of a friend. The woman lived in a small cinderblock house about 137 metres from the Gulf and thought she would be OK.
Storm-related road closures included a 125-kilometre stretch of Interstate 10 in Florida as a result of what an official called "extremely hazardous conditions," as well as the Talmadge Bridge on U.S. 17 between Savannah, Ga., and South Carolina, which was closed because of the threat of high winds on the suspension bridge that spans the Savannah River. Michael sprang quickly from a weekend tropical depression, gaining strength from the warm Gulf of Mexico waters to a Category 4 hurricane. It moved so fast that people didn't have much time to prepare, and emergency authorities lamented that many ignored the warnings and seemed to think they could ride it out. The Red Cross said 7,800 evacuees took refuge in 100 shelters across three states. It has prepared cots and supplies across the affected states for a greater number of people, given the expectation many homes will be uninhabitable for some time. Based on its internal barometric pressure, Michael was the third most powerful hurricane to hit the U.S. mainland, behind the unnamed Labour Day storm of 1935 and Camille in 1969. Based on wind speed, it was the fourth strongest, behind the Labour Day storm, Camille and Andrew in 1992.